"Kathy was very patient with what we was trying to find, and very helpful. We worked with Kathy for the last year and half looking at homes. I feel that we have become friends with her after working with her that long. She was willing to adjust her schedule for when we could come down to the lake. A very good agent... Thank you." - Deb W.
"You have always gave us very good service. 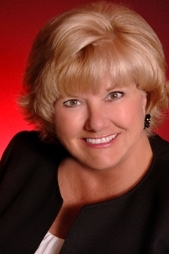 Kathy Wise is highly recommended." - Leisa W.
"Kathy was absolutely wonderful. She was very understanding of the path we wanted to follow. Was not pushy and was very responsive. We could not have asked for a better person to work with. She made the entire process easy. We has some interesting situations where she guided us through the storm without issue. We were very pleased. Thank you to her for a wonderful experience!" - Jim & Tammy T.